It’s hard to believe that it’s been a decade since a wave of hot young British designers, from Christopher Kane to JW Anderson, shook up the fashion world with their offbeat aesthetic. 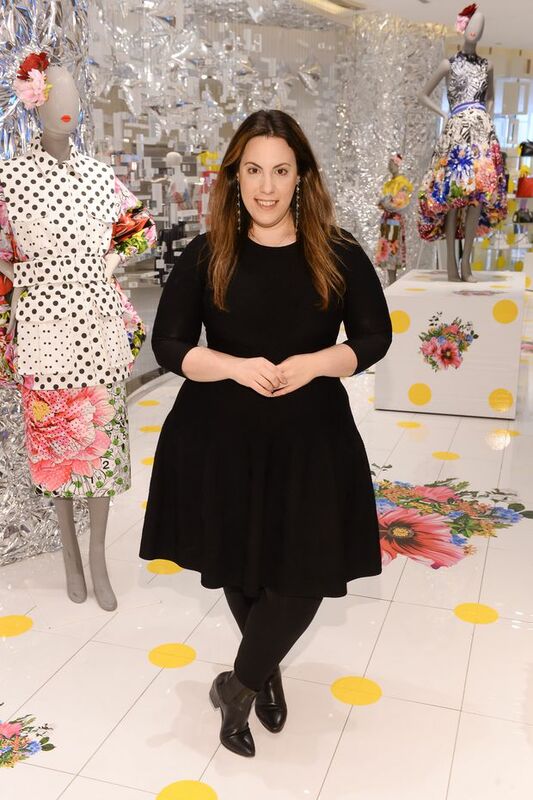 Also among them was Mary Katrantzou, a Greek-born women’s-wear designer who has been dubbed “the queen of prints” for her mastery of digitally manipulated motifs and trompe l’œil. Some of Katrantzou’s most iconic collections are being celebrated with a travelling retrospective of her work, which made its way to The Room at Hudson’s Bay in Toronto this summer. Customers were able to shop reworked pieces from her archive, as well as peruse the displays. Over the past 10 years, Katrantzou has referenced everything from perfume bottles to Disney’s Fantasia in her designs. “When I first started, I was always worried that I’d run out of ideas. Now I realize that an idea can come from anything,” she says. In September, she will show an anniversary collection that riffs on the many collectibles and items that have sparked ideas through her career. “The idea is that it will make every collection of the past become part of a bigger puzzle and narrative,” she says. Here, she walks us through a few of those quirky references. H&W bead kit, $27.77 and Pepperell plasticlLace, $3.99-$9.76 per roll through amazon.ca. Bauhaus: Weimar, Dessau, Berlin, Chicago, $97.12 through amazon.ca. Compliment pencils, $12 at Urban Outfitters (urbanoutfitters.com). Italian art glass candy dish, $195 at VSP Consignment (vspconsignment.com).